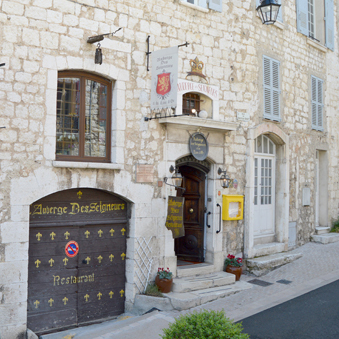 To discover our seasonal menus, find ideas for sightseeing around Vence or follow our news, go to our Facebook page! The information collected is subject to computer processing intended for the SARL L’Auberge des Seigneurs – Hostellerie du Lion d’Or and will under no circumstances be distributed to a third party. In accordance with the law “Informatique et Libertés” of 6.01.1978, you have the right to access and rectify information concerning you. You can exercise this right by contacting the SARL L’Auberge des Seigneurs – Hostellerie du Lion d’Or with this contact form.